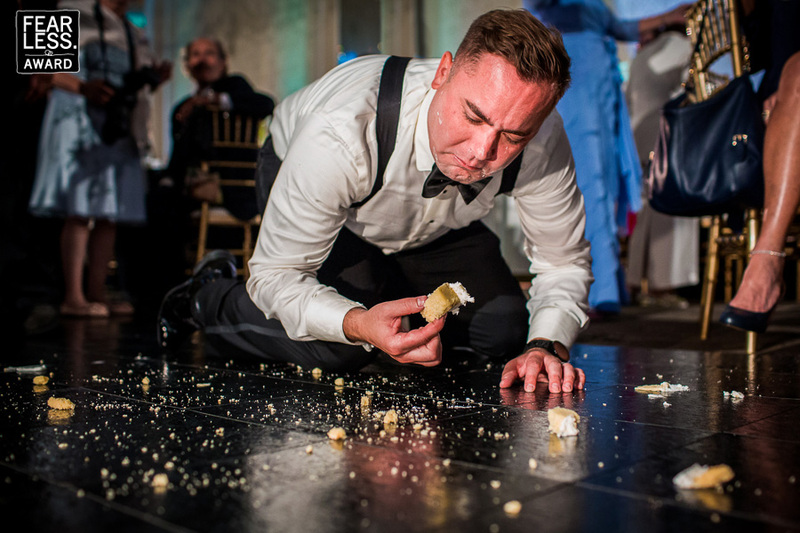 Does the five-second rule apply at weddings? On hands and knees in his dapper dress, the gentleman seems to be counting it off. From a low angle, the photographer caught his querulous expression and the whole mess strewn across the floor.